When the ABC Outside Broadcasts team move into position round the winding motorcycle scramble course at Bentley Springs, Yorkshire, on Sunday, they will be making their 124th outside broadcast this year and the 279th since the company started nearly three years ago. It is an impressive record. From its Manchester headquarters, the outside broadcast fleet is out every weekend, bringing on-the-spot coverage of sport and entertainment from all parts of the North and Midlands. The programme planners, and the ABC communications engineers, who made TV history by being the first to overcome technical difficulties in bringing pictures from the Isle of Man and the Yorkshire coast, are always looking for new locations. During the past 12 months, their list of “firsts” ranges from little-known places like Steeple Aston, Thwing and Pott Shrigley, to towns like Stockton. Peterborough, Towcester, Huntingdon and Burton-on-Trent. Outside broadcasts cameras have been covering as many as four different events in less than 24 hours, packing all their equipment the moment one programme ends and rushing across country to set it up again. This is no small operation. 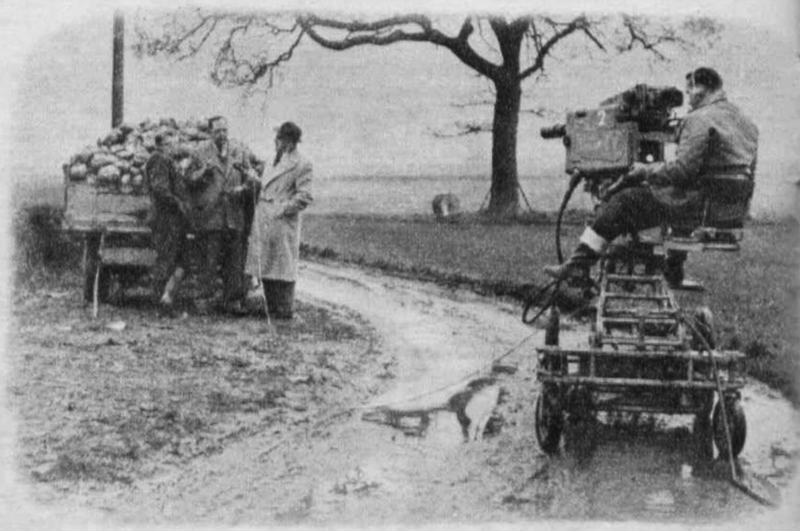 The fleet needed to convey all the men and material for this Sunday’s programme, for instance, consists of an eight-ton scanner, which carries £40,000 worth of electronic equipment, two three-ton supply vehicles, a “links” truck, two generators — on isolated locations the unit usually has to provide its own power — and at least six cars. 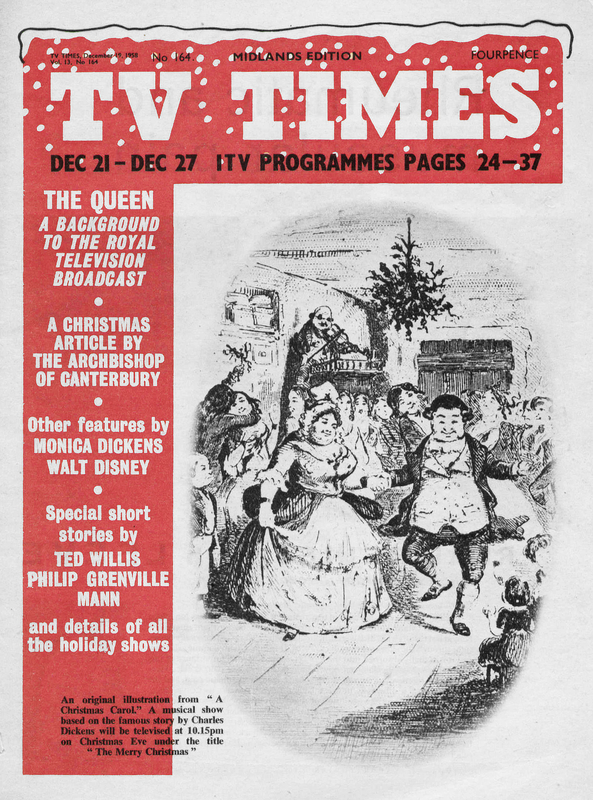 Then there is the problem of getting the programme back from the unit to the transmitter and so into viewers’ homes. This is usually done by “bouncing” the picture over a series of shortwave radio links, and, at the same time, sending the sound over the Post Office telephone network. On a new location, getting the picture back is the result of weeks of work by communications experts, who, after plotting a route on contour maps, often have to scramble up mountains to see whether their ideas will work out. Even linking-up the sound is not as simple as it appears. For the Bentley Springs programme, private telephones nearby are connected with the central control van. 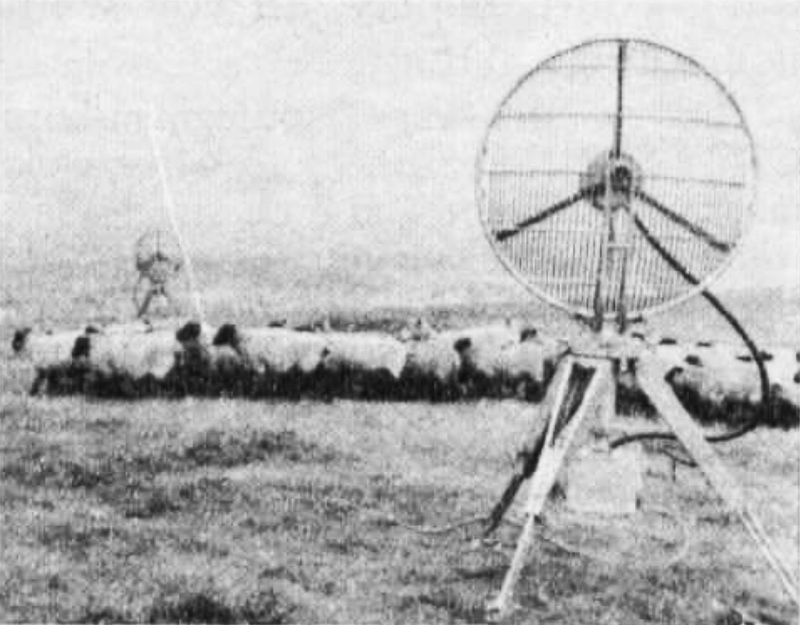 The lines, which local farmers willingly lend to ABC, are used for feeding the sound commentary and maintaining constant telephone contact with the Manchester headquarters. This not only happens in out-of-the-way parts of the country. When ABC go to Coventry for wrestling, city men lend their office phones. Outside broadcast crews are always on the move. Some of the ABC team travel 28,000 miles a year — well over 500 miles a week. SUNDAY: By 9am they are arriving at Bentley Springs. Most of the equipment has been put in position the previous day, but the morning is spent checking and testing. MONDAY: The crews clean the weekend mud off their equipment and prepare for their next assignment. TUESDAY: The team go to Market Rasen, Lincolnshire, where horse-racing is to be screened later in the week for the first time. CHRISTMAS EVE is spent setting-up and testing the equipment and trying out the three-hop radio link between the racecourse and the ITV transmitter at Winter Hill. BOXING DAY: The Market Rasen crew starts at 9am to cover the afternoon’s racing. 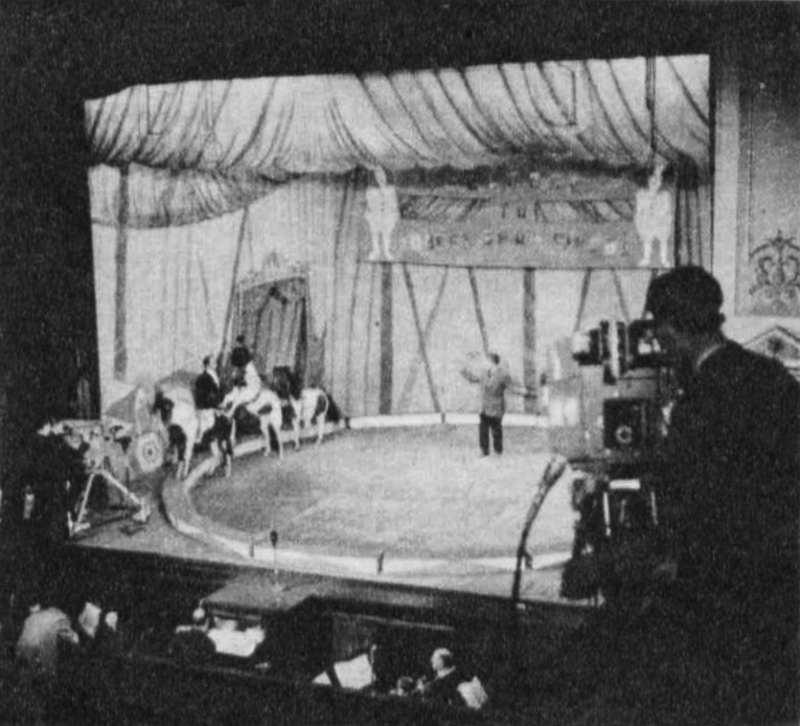 At the same time, a second crew is at a Bolton theatre setting-up equipment for a circus programme. SATURDAY means another early start for the crews. Rehearsals at Bolton, where the theatre stage has had to be shored up to take the weight of the two performing elephants, begin at 10am. 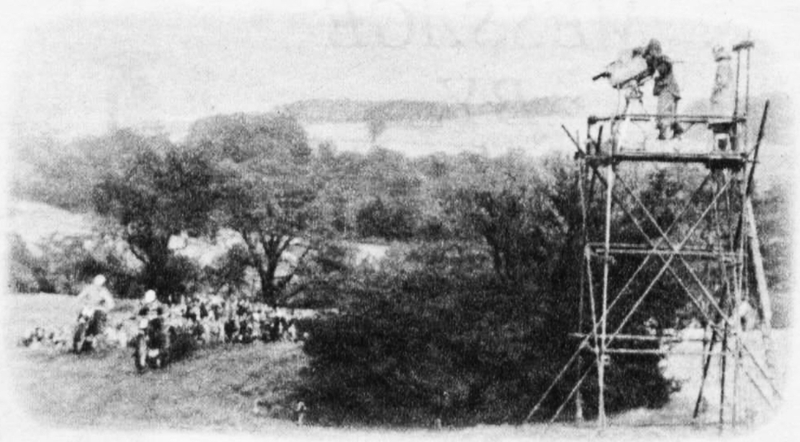 At Market Rasen, the racing continues until 3.15, when viewers are switched south for table-tennis and then back north for the three-quarter-hour circus transmission. 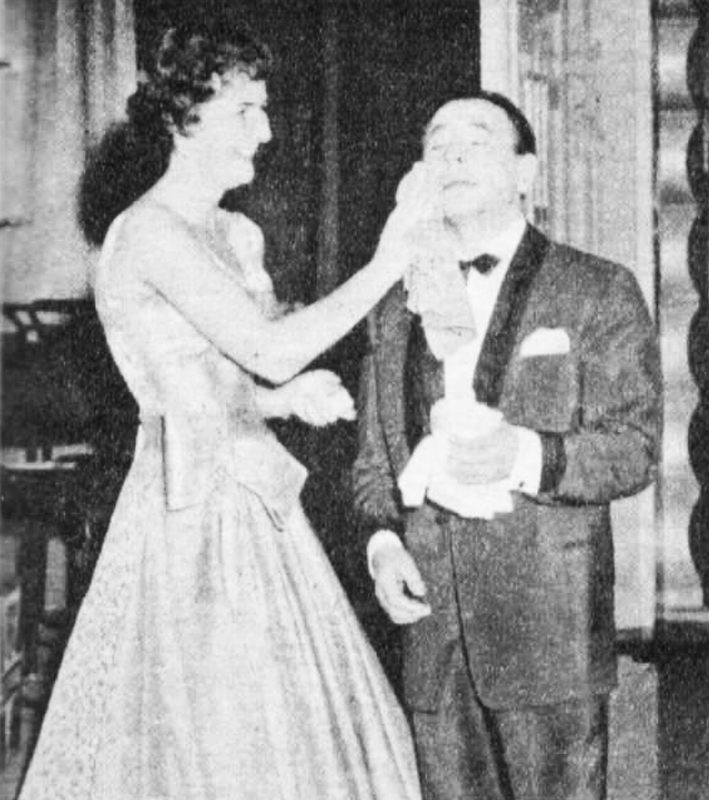 Then their week’s work, as far as viewers are concerned, is over. But there is still plenty to do, dismantling the equipment and putting it on the road for Manchester. It will be 10pm before the Bolton crew are home. Some of the Market Rasen team will be travelling back overnight, while others will have to stay the night in Lincoln. A week of non-stop activity. And while all this has been going on, other members of the outside broadcasts division have been out making final arrangements for programmes that are four weeks away. These outside racing broadcasts make life hectic, also, for the three talking members of the ITV team — Peter Moor, Tony Cooke and John Rickman. Rickman, for whom life as a journalist and broadcaster almost begins and ends on a racecourse, reckons 1,000 miles by train and car each week is a fairly normal stint. He told me: “Friday is often the start of the long haul. We may be racing in the South on that day and due in Catterick the next. So it means the night sleeper … out of the train at Darlington with the morning papers, and work out the form on the way to the course. 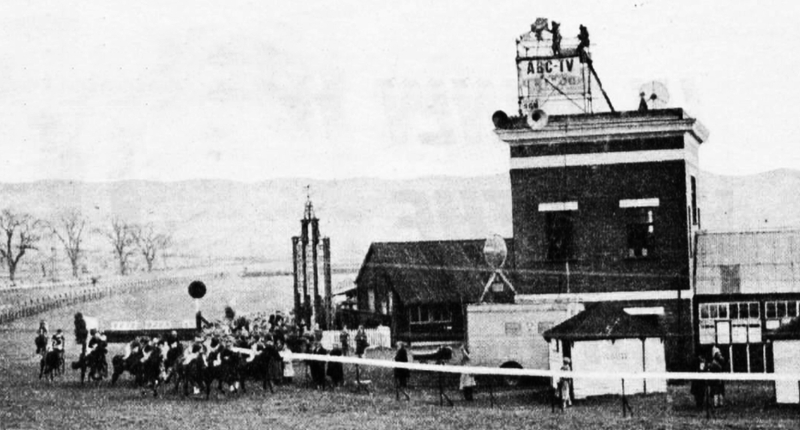 Rediffusion provided the cameras and OB units for many race meetings outside their own area as they had a specialist team that concentrated on racing productions on behalf of the network. This was not automatic but often happened, with one or more companies paying a specific company to mount an OB for them. There were other such specialities too, with Granada covering much cricket, ATV & ABC much football (though certainly not all), and ABC most of the wrestling. These specialisms cut costs despite more mileage for the OB vans. ATV even had a special OB “frontcap” … “ATV PRESENTS” , for away games, cutting out confusing references to Midlands or London, which might muddle the viewer. In this 1965 York Races instance the “frontcap” was static and read “Rediffusion presents” rather than the more familiar “Rediffusion London”. Granada would have paid part of the costs, as local company. (No specific Yorkshire bsed contractor then). TWW made a speciality of mateur swimming coverage in the early sixties , I recall.